Nepal is a country that is highly dependent on hydropower resources to meet its energy demands. Over 90% of the energy generated in the country is derived from hydropower resources. In fact, it is estimated that the country has the potential to generate 40,000 megawatts of power derived solely from hydropower. 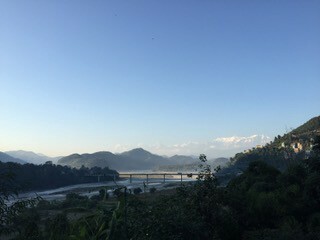 In recent years, the Government of Nepal has pursued an energy strategy that prioritizes hydropower development through an increase in the construction of dams and hydropower projects. Unfortunately, the push for hydropower development has failed to adequately address the priorities and needs of the communities closest to project sites. It is evident that projects are often designed without the leadership of local communities, increasing risks to human and environmental rights. In some cases, communities are able to intervene early-on, to try and prevent harm. 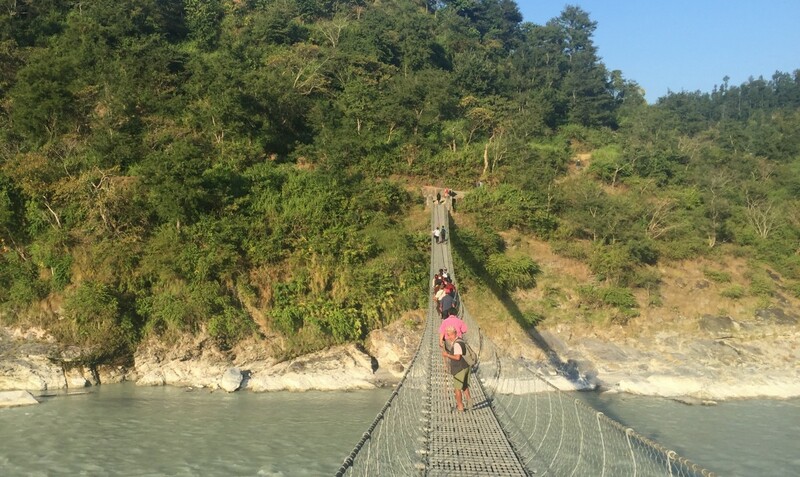 One such example is the Tanahu Hydropower Project, a proposed 140-MW hydro project that will affect the traditional lands and environment of over 750 households in the Tanahu district of Nepal. The project is owned by a subsidiary of the national Nepal Electricity Authority and has been in the works since 2012, with financial backing from the Asian Development Bank, the European Investment Bank and the Japan International Cooperation Agency. Many of those affected belong to indigenous groups and depend on the land for their livelihoods. In an effort to draw attention to the various flaws in how the project was designed and to share their recommendations, local communities engaged in a research process to understand what people knew about the project and what kind of development they wished to see in Tanahu. The decision to pursue a community-led research process was taken following a training organized civil society groups, specifically Community Empowerment, Social Justice Foundation (CEMSOJ) and Indigenous Women Legal Awareness Group (INWOLAG) with support from Asia Indigenous Peoples Pact (AIPP), Accountability Counsel, and International Accountability Project (IAP). Following the community training, IAP assisted INWOLAG and project affected community representatives to design and carry out a survey administered by the community and for the community in Tanahu. Community members i.e. 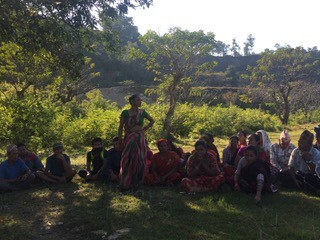 20 women and men from Tanahu, spent months traveling from village to village, knocking on doors to interview and collect information about the project and its impacts. In total, over 173 people from 8 affected communities (7 village development committees and 1 municipality) shared their opinions about the project, their knowledge of the proposed plans and their engagement with decision makers on their development priorities. The findings from this research process are worrying. The infographic below (in Nepali) shares the key findings and recommendations. A version in Nepali can be accessed here. First, the research found that 75% of participants had not been consulted during the planning phase of the project. Only 2 % said they had the information they needed to be able to provide informed opinions about the project. One participant commented that “I want to tell all my complains but I did not get opportunity yet”. The research also found that participants didn’t know how to get the information they needed to understand what was happening to their lands, rivers and environments. Many people wrote that they found the project information to be too difficult to understand. This did not happen in Tanahu. When consultations have been organized, the results have been disappointing. In February 2017, community members organized a protest in front of the Tanahu District Administration Office located in Damauli headquarter of Tanahu district. In response, the Tanahu Hydropower Limited agreed to organize three consultations in Tanahu district. The first consultation took place in June 2017. According to Community Empowerment and Social Justice Foundation (CEmSoJ), only 2 people from affected communities were invited to be part of the forum, which mainly comprised government representatives. The 2 community representatives were expected not only to understand and relay information from the meetings but also to share, on behalf of all those affected, the concerns and views of 758 households. In a room full of government officials, they were the only two sharing the perspectives of those most directly affected by the project. For a consultation to be meaningful and effective, it must go beyond a simple tally of the pros and cons of any given project. The Asia Indigenous Peoples Pact, a regional NGO that advocates for the rights of indigenous communities throughout South and Southeast Asia, outlines specific parameters for consultations. The events in Tanahu cannot in good faith be considered a meaningful consultation. 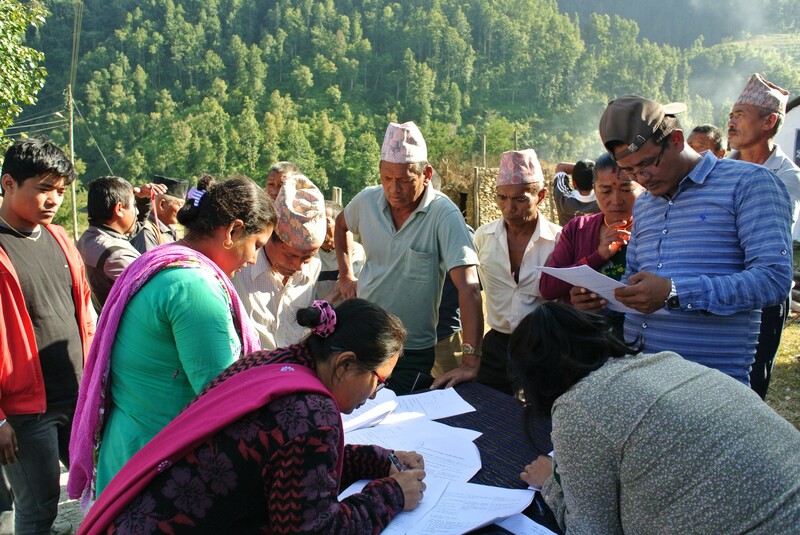 Pushing back against these limitations, communities submitted a letter to Tanahu Hydropower Limited, outlining their concerns and demanding that local consultations the government organize public consultations with the wider community at the village level and district level. The communities also demanded local control over the organization of the consultations to ensure proper representation, non-discrimination and to allow civil society organizations to act as observers during this process. Community members also recommended that consultations have the mandate to settle complaints during both the planning and construction phases of the project. The community plans to continue seeking justice, including exploring a potential complaint to the independent accountability mechanism of the Asian Development Bank (ADB), which is co-financing the project as well as pursuing legal actions to ensure adequate compensation. Even as community efforts seek to change how the project is being carried out, the central question of how best to serve the electricity demands of the country remains. Hydropower development may not be the most viable and sustainable path to address the country’s energy needs. Experts warn that climate change could result in significantly lower accumulations of snow cover in the glaciers and the Himalayas, increasing the risk of floods from glacial lake outbursts where the volume of floodwater could overwhelm the safeguards built into dams. This would pose a major threat to hydropower development in the country. What are alternatives? According to scientific estimates, Nepal is an ideal place to install solar power. The country receives almost 10 hours of sunshine every day which translates to 2,920 gigawatt hours of energy a year from solar, using approximately 0.01 percent of its total land. Will the country utilize this potential? We will never know unless we consult with local communities who are best placed to recommend solutions. In Tanahu, that would mean consulting the 93% of respondents who were not given the opportunity to initially propose ideas and alternatives for development in their community. Tom Weerachat works as IAP’s Program Coordinator, based in Chiang Mai, Thailand. Tom is a community trainer, a teacher, a traveler, and a Mekong activist. Preksha Kumar is a Programs Specialist at the International Accountability Project and is based in New York.